Japan Airlines Corp. is likely to incur a much bigger-than-expected group operating loss of around 200 billion yen in fiscal 2009, with its management considering selling its hotel business in an urgent move to achieve an improvement in earnings, sources close to the matter said on Oct,19.y. The latest forecast, up from an earlier projected operating loss of 59 billion yen, has been presented to JAL's main creditors by a task force of corporate turnaround experts recently launched by the government to evaluate the airline's assets, the sources said. The swelling loss expected for the year through March 31 is due to increases in spending needed for downsizing JAL's corporate structure and workforce, in addition to sluggish revenues from its operations, the sources said. As part of efforts to turn its business around, JAL is considering selling JAL Hotels Co., a subsidiary which runs about 60 hotels at home and abroad, the sources said. The subsidiary runs two chains of hotel properties, Nikko Hotels International and Hotel JAL City. It operates 17 hotels overseas, including in Beijing, Dusseldorf, Hanoi, London and San Francisco. 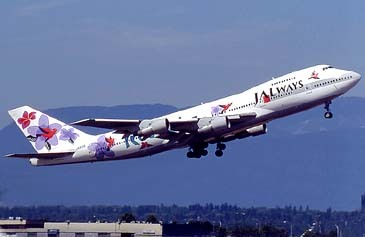 JAL is also considering closing a total of 27 offices globally over the next two years, they said. Of them, 23 are located overseas, including in China's Hangzhou and Mexico City, the sources said. Earlier in the day, Finance Minister Hirohisa Fujii said he will hold talks with transport minister Seiji Maehara to discuss issues related to the reconstruction of JAL. The meeting will apparently be the first ministerial consultations in connection with Japan's top airline since the new government led by the Democratic Party of Japan was launched one month ago. Fujii and Maehara, minister for land, infrastructure, transport and tourism, may exchange views on whether it would be right to use public funds for support measures for JAL, which is projected to suffer huge losses for a second consecutive year. JAL has entered the final stages of arranging for a private-sector corporate revival body to mediate between the struggling airline and its creditor banks to facilitate its aim to realize a debt waiver, sources close to the matter said later Monday. The airline plans to hold preliminary talks with such an organization by the end of this week under the so-called ''alternative dispute resolution'' procedure, an out-of-court arbitration process. The ADR involves engineering a corporate revival with a non-court third-party organization acting as an intermediary. Bringing the procedure to a successful conclusion requires securing creditors' consent. If a company uses the ADR, financial institutions that write off the company's debts would receive tax benefits. JAL has already asked for more than 300 billion yen in fresh loans from its main creditors. There is speculation that the government may use a new public-private body to help revitalize JAL, if the airline's negotiations with its creditors fail. Fujii said, ''I don't know yet,'' when asked about the possibility of using the Enterprise Turnaround Initiative Corporation of Japan, established last week by the government and the private sector with a five-year mandate to revitalize the Japanese economy. The airline has drafted a new turnaround plan, which includes seeking a debt waiver of more than 250 billion yen in exchange for implementing a set of restructuring measures. The draft was created under the guidance of the five-member task force of corporate turnaround experts after Maehara criticized a previous draft of its business improvement plan as inadequate. On Sunday, the task force entered into negotiations with the state-owned Development Bank of Japan and JAL's other main creditors over its rehabilitation efforts. The task force is anticipating that the Tokyo-based airline will be able to post a consolidated operating profit of 40 billion yen in fiscal 2011, if it streamlines or sells its unprofitable operations. But the creditors deferred a decision on providing new loans as they wanted to have more time to assess and make sure that the airline would recover with the latest rehabilitation efforts. The leader and the deputy leader of the task force, Shinjiro Takagi and Kazuhiko Toyama, respectively, will both become operating officers of JAL, if the airline and its creditors agree on the reconstruction framework, the sources said. Takagi was chairman of the decision-making panel of the now-disbanded Industrial Revitalization Corp. of Japan, while Toyama was the IRCJ's chief operating officer. Of the envisaged 300 billion yen in fresh loans, JAL is hoping to secure up to 180 billion yen in loans from the development bank, which is under the control of the Finance Ministry.